What could be better than a healthy and delicious salad? 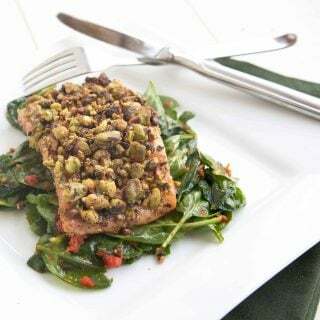 Add blackened Salmon and fresh berries and you've got yourself a meal to remember! What’s not to love about summertime? 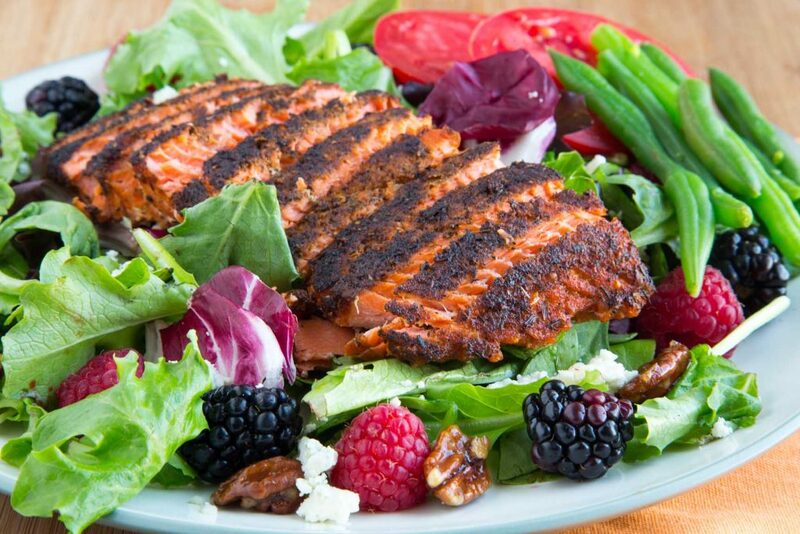 The bounty of fresh produce just makes you want to eat healthier and my Blackened Salmon Salad is just what you need to excite your taste buds while keeping you fit and trim for swimsuit season! 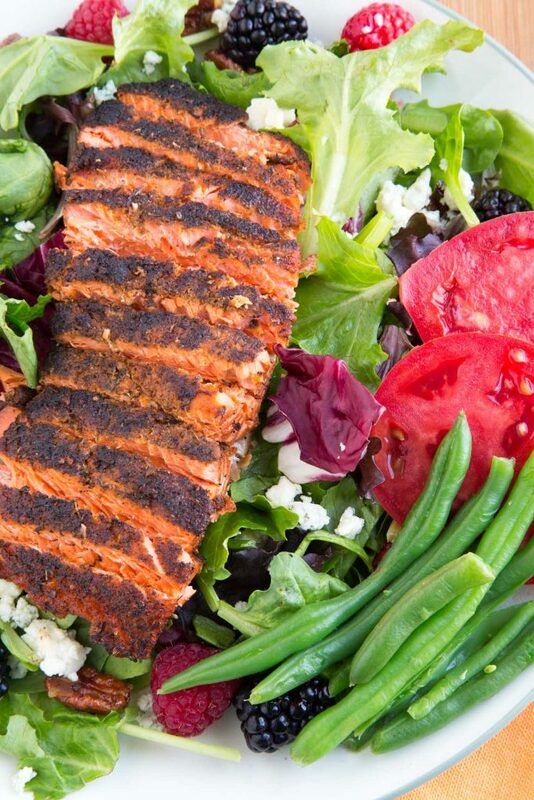 Now that doesn’t mean you can’t enjoy my Blackened Salmon Salad all year long, it just seems that summertime makes us more health conscious. This would make a great fall or winter salad, especially since berries are available all year long. Not a fan of salmon? This would go great with chicken or flank steak, blackened or unblackened. The choice is yours. What kind of protein would your family like best on their salad? It’s not hard being good when you have all of these amazing flavors to enjoy. Northwest Coho Salmon, fresh berries, bleu cheese and candied pecans, now that’s a salad! The flavors of the blackened salmon go so well with those sweet-tart berries. 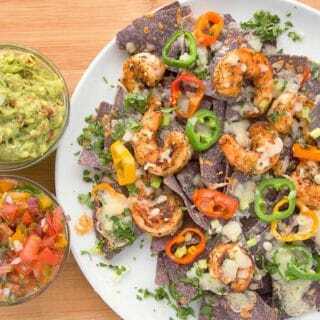 Add in the bleu cheese and it becomes a symphony of flavors that your friends and family will love. To make my plate even more colorful and delicious I added green beans and juicy red tomatoes to my blackened salmon salad. The trick to really enjoying salmon is not to overcook the fish, you want your salmon to be barely done so it stays moist and flavorful. Nothing will ruin a good piece of fish more than overcooking. If you like salads you might also like my Nicoise Salad with Grilled Shrimp. It’s another one of my summertime favorites that you can make all year long! to candy pecans add 1 tablespoon sugar to sauce pan adding 2 tablespoons of water. Heat over high heat until sugar is completely dissolved. As the water cooks out add the pecans while the mixture is still very liquid. allow pecans to be completely coated as water cooks out then place the pecans on wax paper, separating and allowing them to cool. remove skin from salmon and rinse in cold water. remove any pin bones that you find in the filet. coat one side of the salmon filet with your favorite cajun or blackened seasoning. build your with the salad greens on the bottom, sprinkling bleu cheese, pecans, raspberries and blackberries on top of the greens. 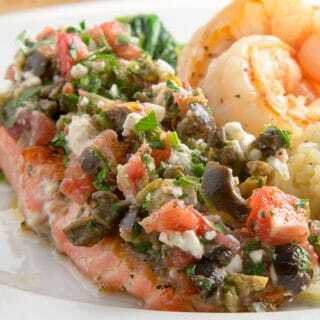 Allow salmon to cool slightly, slice and place on top of the greens. 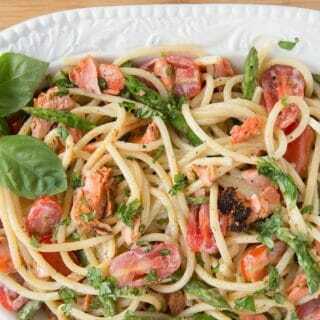 Add green beans and tomatoes to the plate and serve with your favorite salad dressing. The berries and candied pecans take the recipe over the top! Looks fabulous! Thanks Shirley it was a really tasty salad! Dennis, I saw your salad photo and it stopped me in my tracks. Everything that is wonderful about summer is on that plate! You’re right — you don’t have to sacrifice flavor while you’re being “good.” 🙂 Fantastic recipe! Thanks Kim, we have been enjoying more salmon lately since I’ve been buying northwest coho and sockeye. It’s surprising how good berries go with salmon. Dennis, I love your recipes. They are very much in line with the way my family eats. Thank you for sharing how to candy pecans. I wonder if walnuts would work as well? 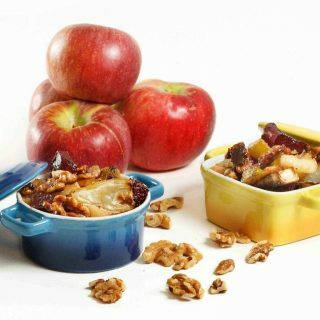 hi Marie – walnuts can be done the same as the pecans and are a nice addition to salads. 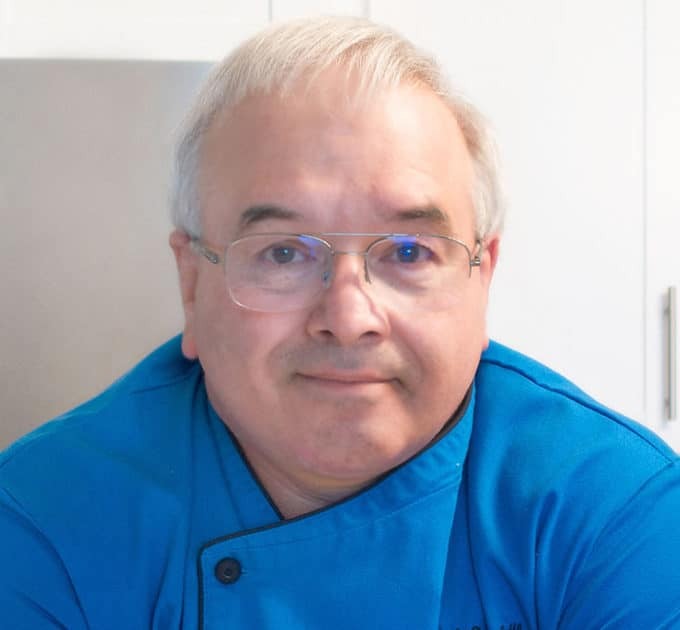 Happy to hear you’ve been enjoying my recipes! Thanks so much for stopping by and I hope you get to try my salad idea. 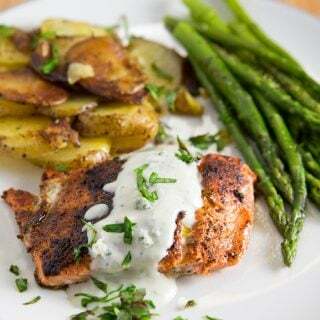 Two delicious salmon dishes in a row – you’re not secretly in Alaska are you? Grilling salmon on Sunday. Will grill a couple of extra filets so I can make this yummy salad on Mon. or Tues. May flake rather than slice the fish. I love candied pecans. Here is a nother summer recipe. 8 – 10 cups butter lettuce (substitute at will), dried cranberries, Manderian oranges (drained & patted dry), feta crumbles, candied pecans. Layer to look nice. Drizzle with a cranberry based dressing. Thanks for stopping by and for sharing your salad Carole.